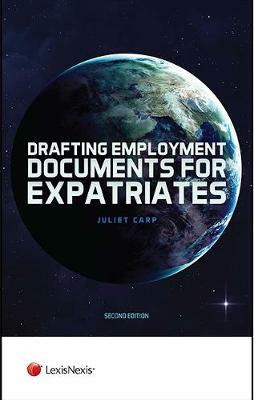 The book helps readers identify the appropriate employer, structure the assignment and document the increasingly complex range of benefits offered to internationally mobile workers. The focus throughout is on getting the job done and managing risk. The author identifies potential traps and offers suggestions for resolution. Lawyers will particularly appreciate the clarity of explanation and drafting suggestions. Those who do not need that level of detail will value the accessibility of the book which, broken down into bite-size pieces, allows for easy skipping of technical information. A comprehensive glossary helps demystify technical terms and avoid the misunderstandings that so often arise in cross-border work. Separate Chapters focusing on `problem' areas such as international commuter arrangements, equality, cross-border competition and severance terms offer extra insight where it is needed. Global mobility expertise has never been so important to business. There has been much discussion about the increasing volume of cross-border migration. For global mobility specialists the greater challenges are the longer term trends towards more complex arrangements between more jurisdictions, and tightening compliance regimes. The author has drawn on decades of experience as an employment law specialist advising on global mobility, and on the very generous contributions of the many in house specialists and advisers who shared their insight in response to the first edition, to produce a book that really helps.